So, I was sitting here this morning thinking of all the things I would like to do this summer once I am fully mobile again. It's my bucket list of summer fun. I could share those things with you, but I'm thinking they are rather mundane. Instead I thought I would share some things I would definitely not be doing. 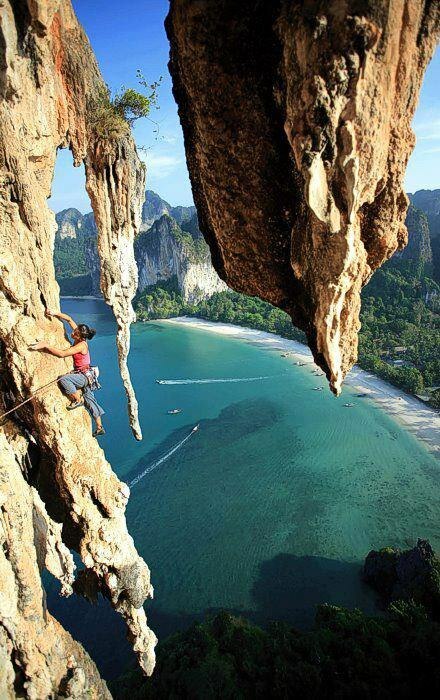 Oh gee, I really would have liked to do this (NOT), but my surgeon said no climbing. Too bad. Maybe in my next life. I have always thought kayaking would be fun, but I'm thinking there must be a nice flat lake somewhere with my name on it. Oh. wait a minute. My daughter says if you turn over it is hard to right yourself. I have this funny aversion to drowning, so maybe this isn't the sport for me. I always thought I was pretty brave going down the water slide at Disneyland. I swear, I did it. The only reason you can't see me in the picture is because I was reaching down to guard my purse just at the moment they snapped the photo. 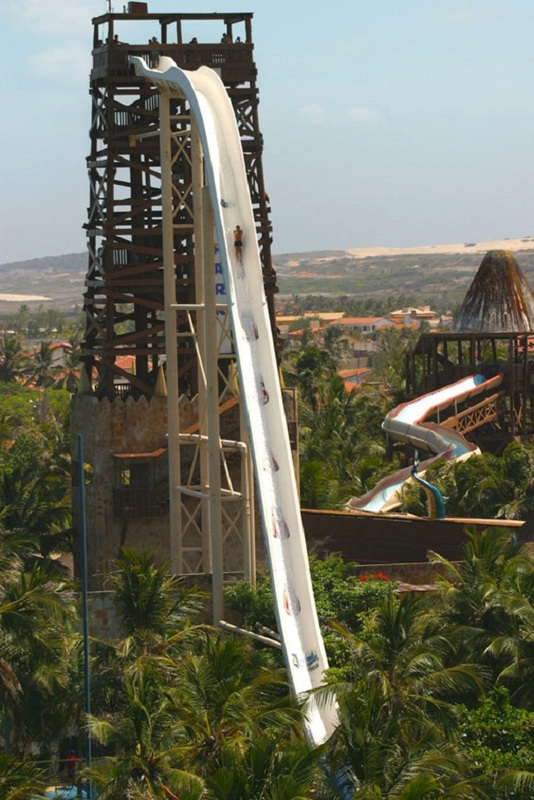 (It had absolutely nothing to do with me cowering behind my 12 year old daughter, while simultaneously praying) I'm thinking that maybe going down this at 65 miles per hour in just my bathing suit might not be the thing for me. I'm sure that dead lifting a shark is a great summer sport, and I would do it, but I'm thinking it may be over the 10 pounds I am currently allowed to lift. So maybe it will just have to go on the back burner for awhile. I'm sure all of the above activities would be fun and refreshing this summer, and if you decide to try any of them, I hope you will list me as one of your beneficiaries. Now here is a woman with just the right idea. I mean, sipping wine through a straw seems pretty brave to me and if I hold myself to one glass, I might not trip over my own feet getting into the house from the patio. So here's to a summer full of fun and adventure. See you on the patio. Those are crazy, especially the road! Where is that? Okay....I haven't even had surgery on my knee and I'm not climbing that (or driving on that road)! I'd love to do all those things, too. ok now that road would be crazy fun!!!! I'm game for catching any sharks, especially barehanded and lifting it like a weightlifter. ??crazy?? Thanks for the great laughs, Laura, thanks. I would not EVER do any of those things....well, ok, maybe the last one. I feel horrified just looking at them! I mean, HOW do you, let alone why would you, build that road! And that water slide is absolutely nuts. Never ever ever ever. Mundane sounds good compared to those pics. How fun was this. My palms got sweaty just looking at that road hanging on the cliff. You will not see me on that road either. Hahaha, you do like extremes, don't you! I am thoroughly enjoying your sense of humor! Not a single one looks good to me. Even the Disneyland one is a huge angle. No, no, no. I'd rather read a book. Thanks for the great laughs.